Oracle Fusion HCM is also termed as Fusion HCM which is a modular suite of Oracle Fusion Applications that sets a new standard for work and modernization. This application is an approach to employee staffing which perceives people as assets, whose current esteem can be measured and future value can be generated through investment. It offers rules-based and global applications which enable an organization to manage and deliver benefit programs to reach their goals, mission, and methods of an organization. Oracle Fusion HCM is engineered to co-exist with your existing applications and deliver improvement without any disruption. It is designed from the earliest stage to help your organization know its people better, act as a group, and do things the way you need them to be finished. This application recognizes the partner organizations which are able to advertise, implement, and develop Oracle Fusion HCM application. It is built from the ground-up which thinks about the business of HR to offer esteem to each employee in an organization from Human Resource to Managers to Employees. Oracle Fusion HCM connects all parts of the workforce, empower customers to notify, engage, and work together in many ways before never possible. ERPTREE offers the best Oracle Fusion Cloud HCM Training which will be taught by our Oracle experts. It contains multiple courses on different technical platforms but it gives importance to Fusion HCM applications and its components. We deliver the important information to students while teaching in training. Learning from our Oracle experts can improve their chances to get certified. We have proved that we are very much helpful for all those students who are concerned to pursue the best training but they can’t attend traditional classroom training classes due to some reasons or other. We have gained the high standard reputation across all around the world for its teaching. Learning Oracle Fusion HCM application is used in today’s fast-growing technology for financial business organizations. At present, students or employees don’t have flexible time to attend for classroom training due to they are scheduled for their educational studies or professional career, so they prefer to learn through online training classes. Apart from classroom training, many of the students are enrolling in online training classes. Through web learning, the internet gives the users simple methods and easy to follow from anywhere at any time with secure access. We provide modern and updated Oracle technologies for offering a high-quality training on Oracle fusion applications and this can be clearly seen from its online training classes. We are having Online and Classroom Training Classes at our training center in which our online training can be accessed from anywhere at any time. Our online training classes prove to be very much helpful for those students who are interested in taking best training but can't attend traditional classroom-based training due to some reasons. In classroom training, we are having better lab facilities and the queries of students on any topic can be solved at that time with the trainers at our training center. It offers online-based training classes so that students can attend the classes from their remote place at any time and achieves this Fusion HCM course this enables the students to take up their interested and relevant course even from their own place. We offer a wide collection of IT services and ensure a complete end-to-end solution. At our ERPTREE, we are having ten plus years of real-time experience in teaching Oracle Fusion Applications and we are well-certified oracle experts. We deliver a high-quality of information for students with new methods of teaching and its techniques in latest technologies. Our team delivers a top quality of training from basic level to advanced level on Oracle Fusion applications to students, on-job professionals, employees, and others. It also offers in-depth training so that one can handle in an easy way. We are offering training courses across all over the globe and many students had already trained with our web-based training successfully. We also have training video recordings on Oracle Fusion HCM application at ERPTREE. We are cheerful to state that, we have been rated as leading trainers from information technology. Our teaching experts have the dedication of excelling in their positions and works with the high vision to offer the best training for students. We have certified experts and they offer fully-fledged knowledge for students to attain their real-time projects. Our teaching experts have the commitment to excelling in their positions and works with the better vision to offer the top training for students. At our training center, we have instance fusion access for practice and self-paced video recordings for learning. Towards teaching, we have the dedication of excelling in their positions and works with the improving vision to provide the best training for students. 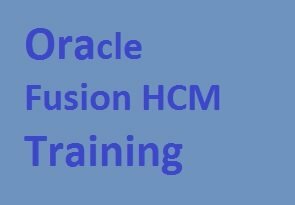 We provide Oracle Fusion HCM Training at our training center. Learning from our trainers can improve your skills and chances to reach your objectives. We not only concentrate on achieving the course concepts but also focus on the overall growth of the students in order to make them achieve their goals in HCM application.Get self-paced videos with online training. We have designed our Fusion HCM course structure to students based on present updates and we teach all concepts from the introduction to implementation on each module. The training exceeded my expectations - I learned loads from the Oracle Fusion HCM Core Implementation Training. The trainer was very experienced and had made the learning enjoyable with real time scenarios and examples. I have already recommended Erptree to my colleagues. They have real-time trainers and who had more than ten years of experience in teaching. The way of explanation is good and makes the course content such that it matches to the real requirement of the industry. The main aim is to prepare the student for real Project. They assist the students for Placements. The faculty of Erptree has simple Method of teaching. Where it has experienced trainers who had experienced in real Projects and give their knowledge to the students. And the price is very durable compared to other Institutes. If you are looking to build you are career in Oracle fusion HCM. Then Erptree is one among the Best and it provides the videos at instance fusion access which helps the students in learning. It gives the clear Explanation to the students. Clarifies each and every dot of the student. HI, It is Sangeetha. The way of teaching is very good they have good experienced in teaching to the students. They have a huge lab facilities and it has a good environment for teaching to the students. They prepare the student for the real projects. The way of teaching is good and it has the good explanation and clears each and every dot of the student. The explain the students with good examples which helps the students in learning. Provide the student with self-paced videos at instance fusion access which helps the students in learning. Erptree has the real-time Management who shares the knowledge with real projects. The trainers prepare the syllabus such that it matches to the real business trade. They provide the student with the top quality of Information from the beginning level to the advanced level. Hi, it is Vandhana . The way of teaching is Excellent in Erptree. It delivers the self-paced videos at instance fusion access. On-job professionals can become an expert through by our classes. Teaches the students from starting level to the depth. Hi, this is Praveen. I have Enrolled HCM training from Erptree at Hyderabad. It has well skill trainers who had experience of more than ten years in teaching. We aim to prepare the students for the real projects. It provides the high quality of information to the students. We have well expert trainers who are experienced in teaching and teach the student in a simple method. The way of teaching is Excellent and provides the Students with good communication skills. They help the students in placements for the job In the Oracle fusion SCM. It has good trainers who had a well experienced in teaching to the students. The way of teaching is excellent they teach the student with good examples which helps the students in learning. It has a good facility in the lab where they can be done, practical classes. The trainers are good in teaching and provide self-paced videos at instance fusion access which helps the students in learning. They teach the students in a good Environment. They teach the students with good examples which help the students in learning. Hi, this is Mahesh. I have learned Oracle fusion HCM Training at Erptree. We have well Expert trainers who had experienced in teaching in different parts of the globe. The trainers have real experience in real projects and share their knowledge with the students. 4.93/5 rating, based on 14 Professionals and Students Reviews.